Britt & Brad chose a beautiful Villa Style venue for their wedding reception in Kichener, Canada. Although their location was very reminiscent of the old Spanish Style, their wedding actually had many french accents. Black and white theme, Eiffel Tower centerpieces and even their little, adorable dog to make the day complete! 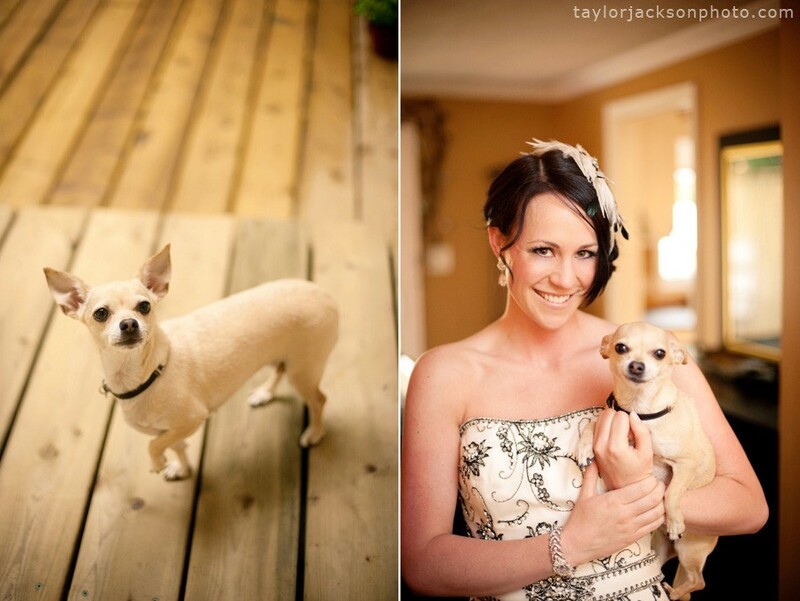 We love how she chose to include him in their wedding photos, on site. Read more about their wedding here!